Witness history in the making when 156 of the world's top golfers compete at the 2019 KPMG Women's PGA Championship! 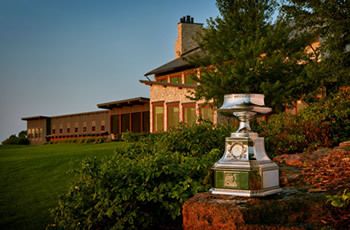 The world-class Major Championship will take place at Hazeltine National Golf Club, June 18-23, 2019. Each Flex Grounds ticket provides the holder with access to the grounds of Hazeltine National Golf Club for any one (1) day of the Championship (Tuesday-Sunday), giving flexibility to the ticket holder on which day to attend. Read below for details on our junior and military complimentary admission policies. The Clubhouse ticket provides access to the Championship grounds and into the Clubhouse Area (Hazeltine Ballroom). Upscale food and beverage options will be available for purchase in the Ballroom area. One (1) preferred parking pass will be provided per every two (2) Clubhouse tickets purchased for the same day. 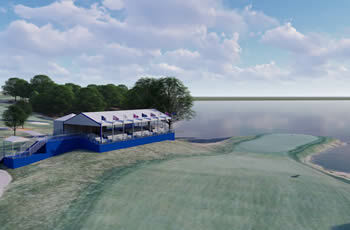 A Clubhouse ticket does not allow access to the Hazeltine Member-only viewing platforms. Please Note—Those 17 and under will not be permitted into the Clubhouse with a complimentary junior grounds admission ticket. However, juniors 17 and under will be permitted Clubhouse access for a nominal fee available for purchase at the Admissions Office on the day of attendance. Children under the age of 2 will require no admission ticket. The Weekly Grounds Ticket Package offers the best value, providing access to the grounds of Hazeltine National Golf Club all six (6) days of Championship week. Each package comes in the form of six (6) individual daily tickets (Tuesday-Sunday). You can also purchase from the individual daily tickets below for access to the Championship grounds for the specific day(s) requested. 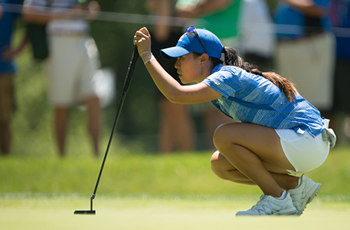 Purchase 10 Weekly Grounds Tickets for the 2019 KPMG Women’s PGA Championship at $100/ticket (plus applicable taxes) and be guaranteed the opportunity to purchase two week-long Grounds tickets for the 2028 Ryder Cup. A ticket, once scanned, will no longer gain admission to the Championship. 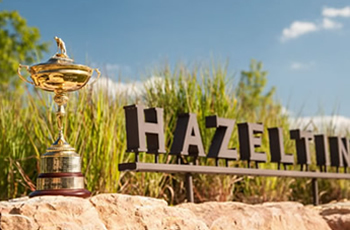 If you plan to return to Hazeltine National Golf Club the same day, please have security stamp your hand at one of the spectator entrance gates. You will only be able to return to the grounds with a scanned ticket and a hand stamp. The only exception is when the Weather Warning signs are posted. In this situation, a hand stamp will not be required for re-entry to the Championship. Juniors 17 years of age and younger will be admitted into the Championship Grounds for FREE with an accompanying ticketed adult. Each ticketed adult will be permitted four (4) junior daily tickets at no additional charge. 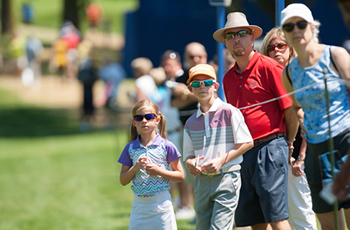 Junior tickets will be picked-up onsite at the Admission Sales & Will Call Office, located at the Main Spectator Entrance of Hazeltine National Golf Club, on the day of admission. Junior tickets cannot be obtained in advance of the Championship, and do not gain entry into private hospitality areas on-course. To honor the men and women who serve our country in the armed forces, the Championship is pleased to offer Active Duty, Retirees, Active Reserve, National Guard, Veterans and their accompanying guest (limit one) complimentary Daily Grounds tickets. Upon arrival, Military personnel must go to the Admissions and Will Call Office at the Main Spectator Entrance to present their Military ID in exchange for Daily Grounds tickets. 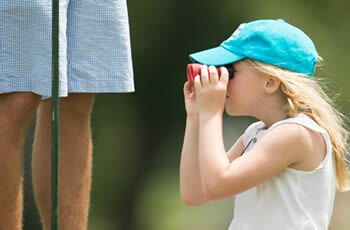 For any ticketing questions or to order tickets by phone, please call (800) PGA-GOLF (742-4653), Mon. - Fri., 7:00a.m. - 4:00p.m. CT.